Our great value lunchtime special provides you with three courses chosen from our special set menu for just £25 Monday to Friday (£32 at the weekend). This is a perfect opportunity to savour our restaurant’s award-winning food in the elegant surroundings of Palé Hall. Advance booking is advised as this offer is always very popular. 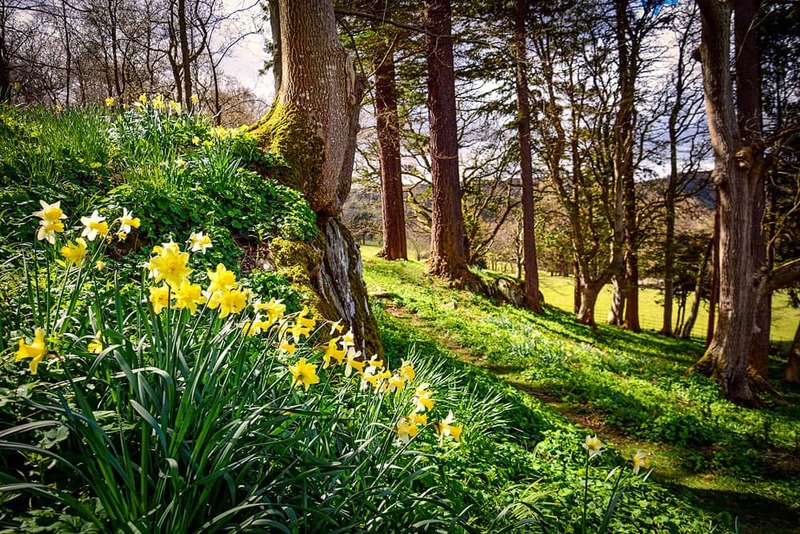 Spring is always a delightful spectacle at Palé Hall as our extensive woodland gardens are restored to glorious life. 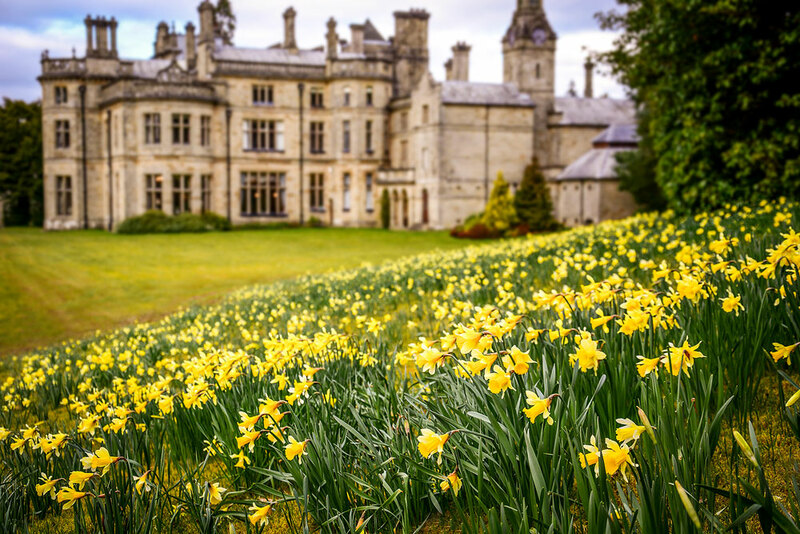 Make your Easter weekend extra special with our seasonal 3-course lunch in the magnificent surroundings of Palé Hall. Includes a hand-made Easter egg for every guest created by our pastry chef Adam. 3 courses £40.00 including homemade chocolate Easter egg to take away. Bring your family along for afternoon tea & Easter fun in the garden. 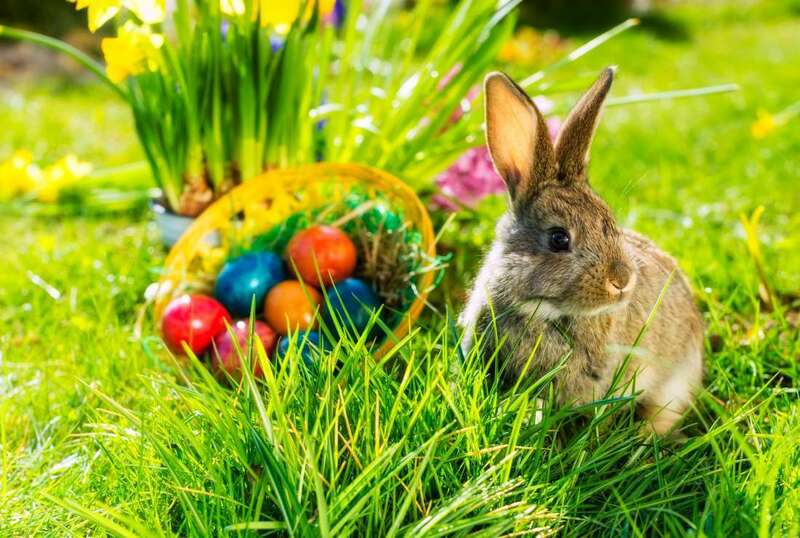 Follow the clues left by the Easter Bunny to find eggs hidden in the garden, with one very special golden one. 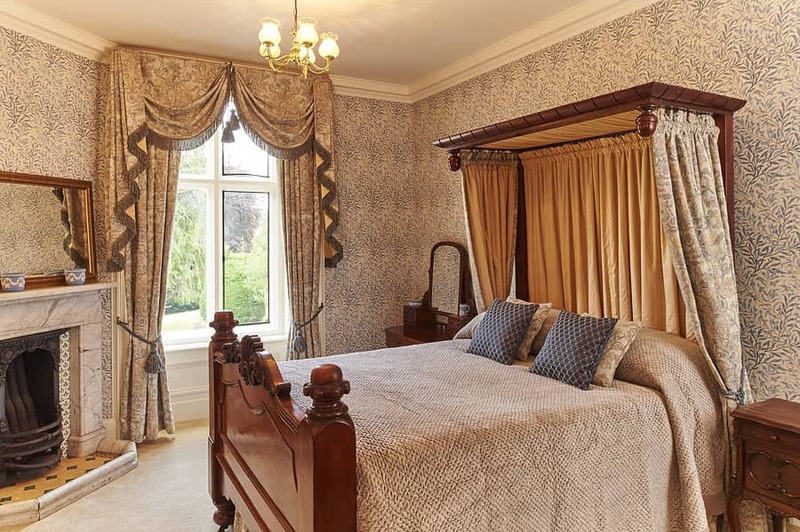 *includes Full Afternoon Tea & Easter egg hunt. 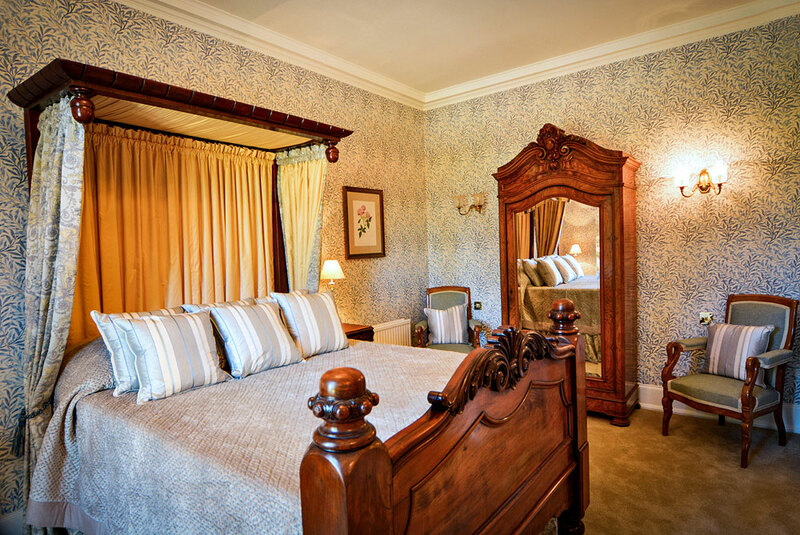 Follow in the footsteps of Queen Victoria with our ‘royal visit’ experience. A special package to mark the bi-centenary of the birth of Palé Hall’s illustrious 19th century guest. 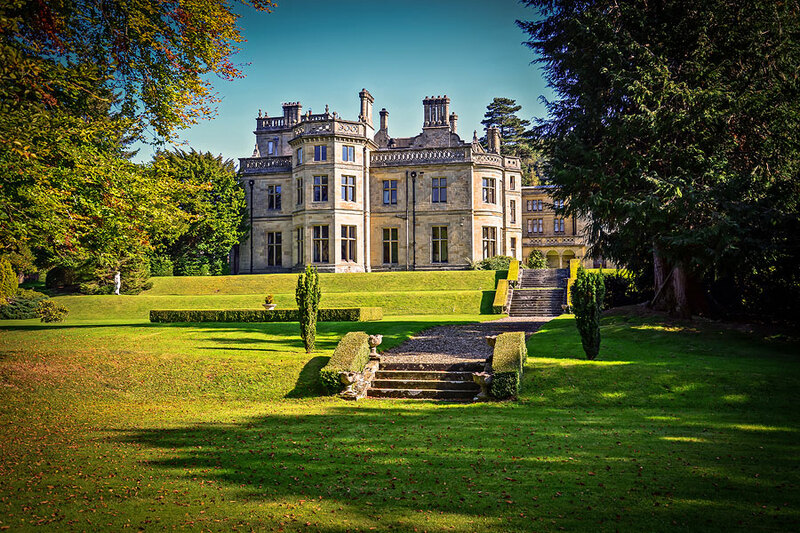 Queen Victoria visited Palé Hall in 1889 as part of a royal tour of north Wales. She was so enchanted by the house and its location that she remained for ten days, much longer than originally scheduled. At that time Palé was still the home of the Robertson family. Henry Robertson was an industrialist who had built much of north Wales’s railway system. The Queen arrived at Palé Hall by royal train and alighted at Llandderfel station, adjacent to the house. 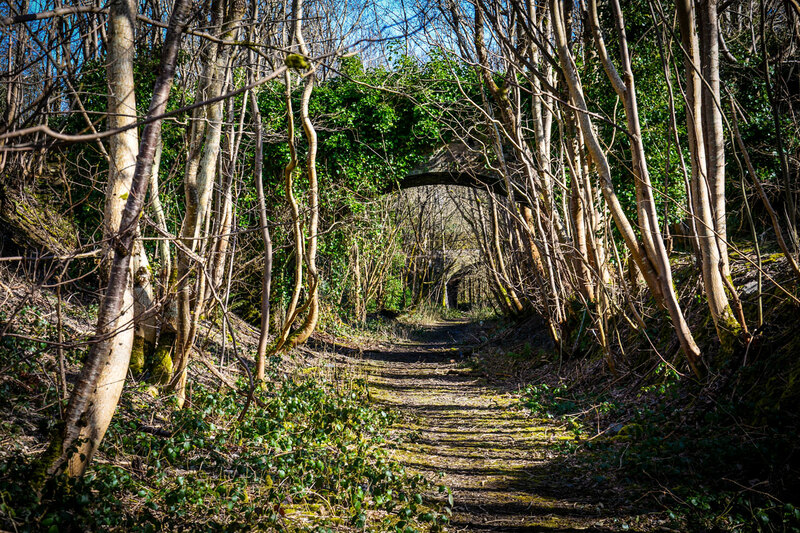 The station itself is now long gone, but the path of the disused railway remains. This was once the Ruabon to Barmouth line, built by Robertson; the cutting runs along Palé Hall’s boundary, between the house and the river Dee. Victoria was particularly taken with Palé’s gardens and natural setting. One particular route she enjoyed by the river Dee is now known as the ‘Queen’s Walk’. 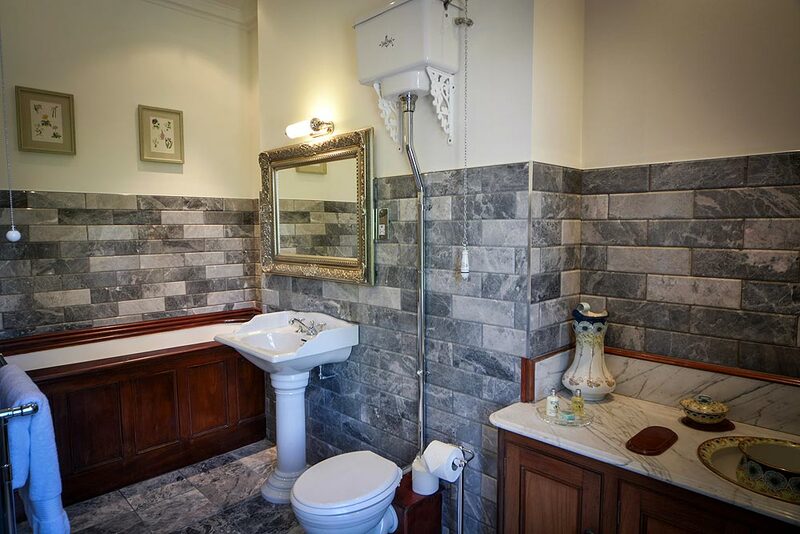 The Queen was very particular about hygiene and so her accommodation at Palé Hall was in the only room that had a plumbed bathroom at that time. 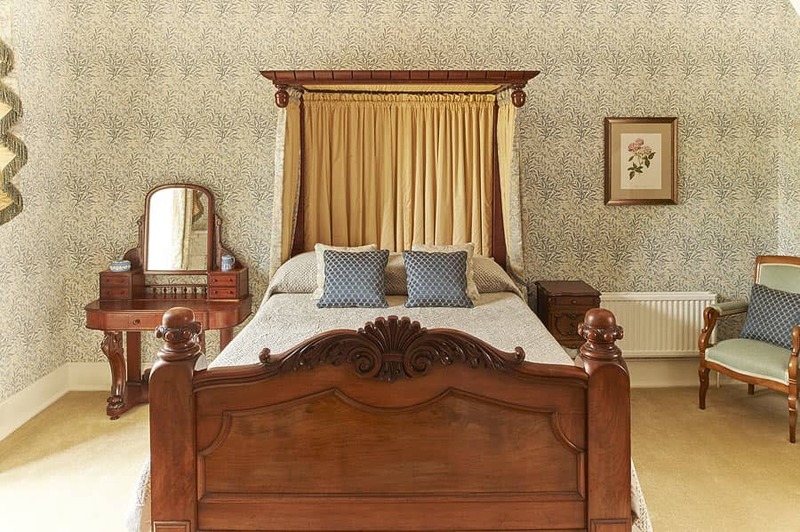 That room – now our Victoria room – still retains its original bathroom fitments, as used by the Queen, as well as the bed in which she slept. £850.00 (based on two people sharing). Subject to availability. Not avalable on key dates/events.